We all know how much kids love stuff, and in turn love hauling stuff everywhere they go. 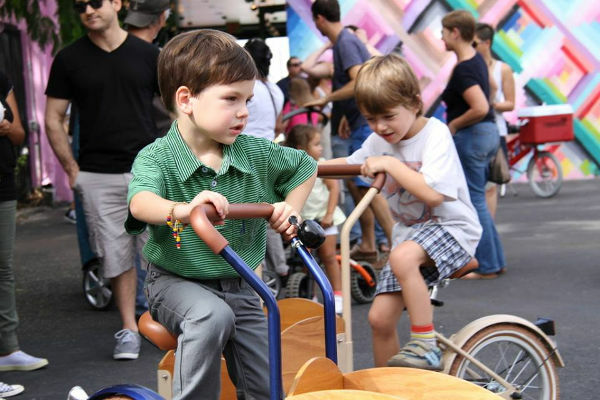 It goes without saying that they will adore these bikes, which combine a favourite childhood pastime, with the ability to haul stuff. Genius! If your kids are anything like mine, they love to haul all manner of paraphernalia on bike rides – or rather they ask me to haul their drinks, special toy, etc. Girls’ bikes sometimes offer a small basket on the front for such a purpose, but alas boys’ bikes often don’t. 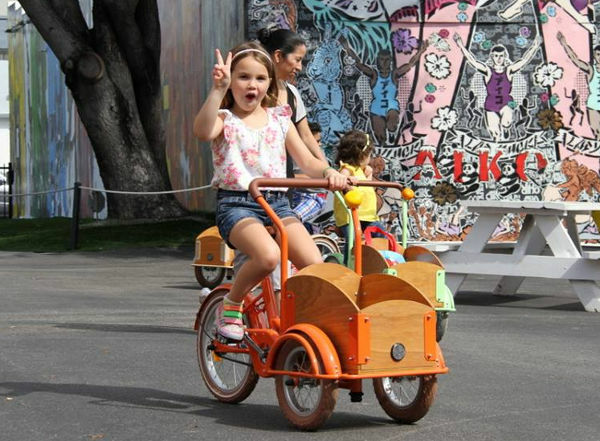 That’s why I love these cargo bikes, and kids will no doubt love them too. 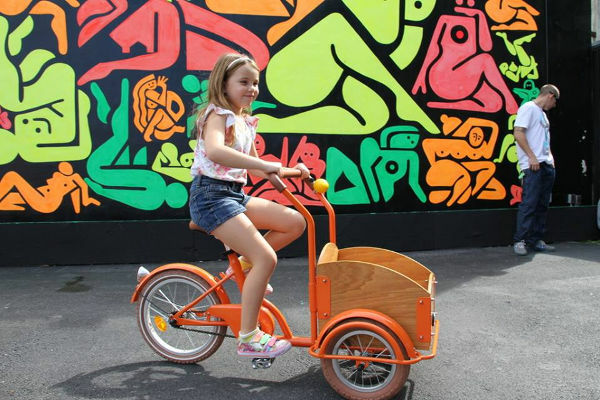 These Republic Kids Cargo Bikes scream retro, and are indeed inspired by classic, three-wheeled cargo bikes. The wooden crate at the front is big enough to transport almost anything a little imagination can dream up. Recommended for children between four and six years old, they are so beautifully made that they will no doubt last through many years and generations of leisurely, picnic-transporting rides through the countryside. The bikes, which cost US$349, come in five stunning colours, including sour apple and magenta, and you will need to contact Republic directly about shipping to Australia. 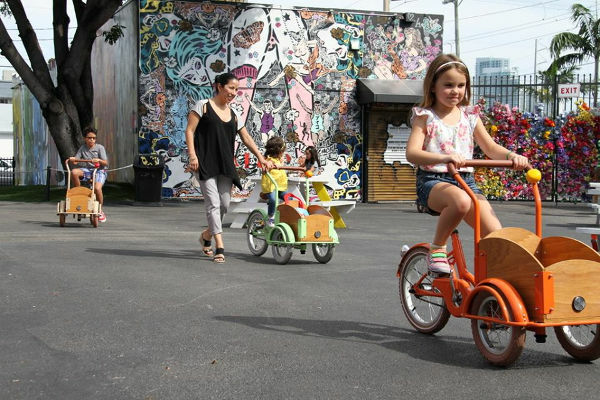 Want a grown-up sized cargo bike so you can transport the kids around? Then take a look at our previous post about adult cargo bikes.